Camille Kingsolver graduated from Duke University in 2009 and currently works in the mental health field. She is an active advocate for the local-food movement, doing public speaking for young adults of her own generation navigating food choices in a difficult economy. She lives in Asheville, N.C., and grows a vegetable garden in her front yard. Steven L. Hopp was trained in life sciences and received his PhD from Indiana University. He has published papers in bioacoustics, ornithology, animal behavior and more recently in sustainable agriculture. He is the founder and director of the Meadowview Farmers Guild, a community development project that includes a local foods restaurant and general store that source their products locally. He teaches at Emory & Henry College in the Environmental Studies department. 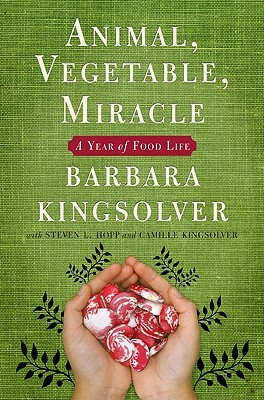 He coauthored Animal, Vegetable, Miracle with Barbara Kingsolver and Camille Kingsolver.